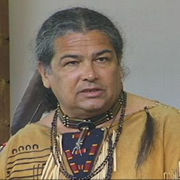 Rod Wilson (White Eagle) is a Cherokee Indian who is currently working with YWAM in New Zealand. He dressed in Indian attire to give this message. Rod and his wife Alexis have ministered in many countries including establishing a substantial work in Kenya. At 13 Andrew Kubala was diagnosed with leukemia and spent 5 years in and out of hospitals. Thought a bone marrow transplant and much prayer, he has been free from cancer ever since. Andrew has become an inspiring youth leader with a powerful ministry of healing and evangelism. Sally Cowie has been in children's ministry for 27 years in NZ and overseas. 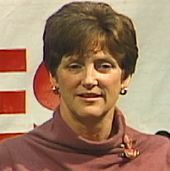 After the death of her husband in 1991, her life and ministry changed radically. Sally is now a prophetic preacher with a ministry to the hurting, the broken, the sick and those bound by demons. "Five Attributes Of Honour "
"Measuring The Days Of Your Life"